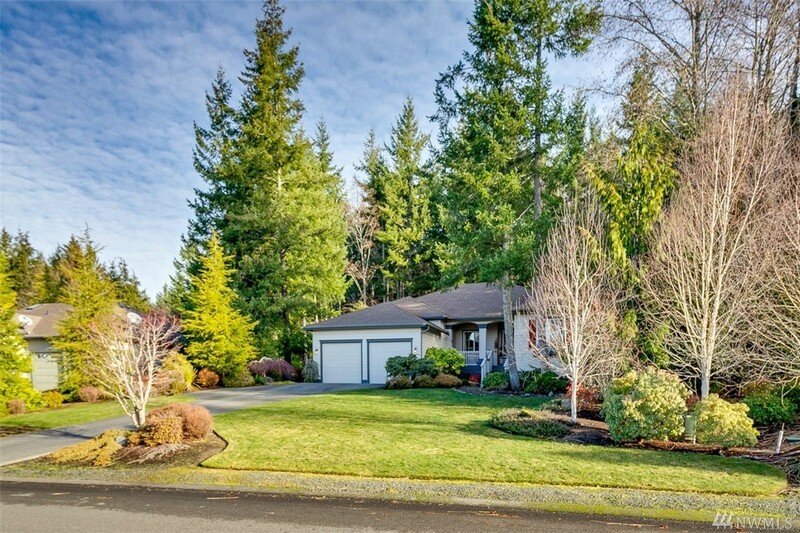 Charming, well maintained home situated in park like setting on 1/2 acre lot. Secluded yet cheery, tons of natural light, w/10 foot ceilings, three skylights & wall of windows to back yard. Smart floor plan w/open entertaining area & master on opposite side of home of guest accommodations. Amenities include, granite counters, maple cabinets, new appliances, new heat pump/furnace, irrigation system, large deep 2 car garage, bay club amenities. Located in desirable Olympic Terrace neighborhood.